Just a quick post… who had this delicious set back in the mid-90’s? They have very accurate formulas and both have kept their strong scent despite pushing two decades old 🙂 Strawberry Chocolate had a lovely red tint that showed up when worn while Raspberry Chocolate has a colorless balm. They also came with a keyring cap–if anyone has that version we’d love to see a picture! The blog is sabotaging us! I see Raspberry Chocolate all the time, though I don’t own a personal copy of it 🙁 I have a feeling it would smell like the M&M Raspberry Chocolate wand-gloss though, no? I think it is definitely rarer! And you are most welcome 🙂 The Milk Chocolate M&M set has both Strawberry & Raspberry balms though I haven’t compared them to these 90’s ones in awhile. I’ll do that and post back! Okay I just compared them all! Haha. The Raspberry ones are similar (the M&M is stronger/more tart but I don’t know if that is due to age or formula) but the Strawberry ones smell way different from each other. The M&M Strawberry has more of the distinctive M&M scent. The Raspberry Chocolate one sounds vaguley familiar, I think a friend of mine had it, but I don’t remember the Strawberry Chocolate one at all either. It sounds great! Saving it, I love it. I think this is the only beauty product you can say that about! Hola again! These are the types of flavors I remember growing up. I love seeing this old packaging again even if it is technically more “plain.” 🙂 The chocolate is killing me, too cute! Wow..i had no idea there was a strawberry chocolate around. 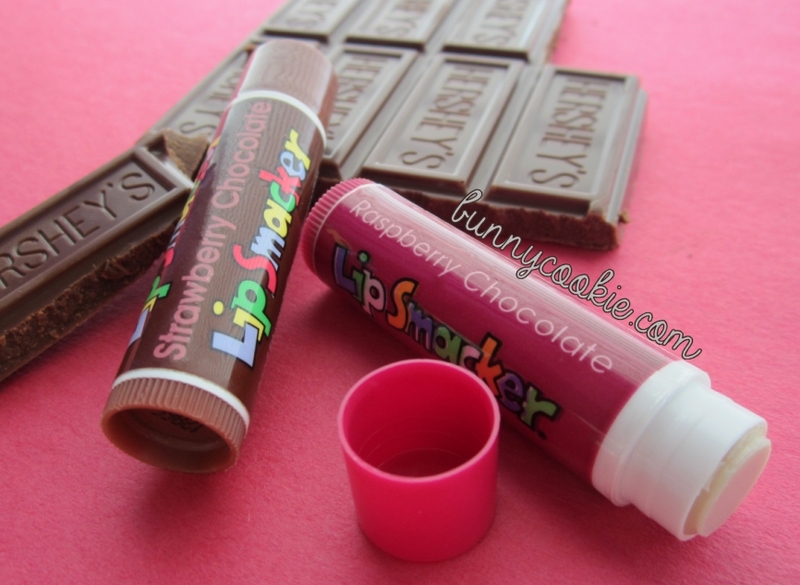 I used to have the raspberry chocolate with the key chain cap one so i can’t personally send you a pic, but there’s a pic of someone’s lip smackers collection and the raspberry chocolate with the key chain cap is included! Me too. I think the original packaging has some sort of a beauty to it that the Disney Lip Smackers lack.